On Sunday August 16th at approximately 4:18 pm, officers were dispatched to a residence in the 1600 blk of Dayton for a burglary in progress. Upon arrival in the area, officers observed two males matching the suspect description walking away from the victim’s residence. The two suspects were detained at the scene by officers for further investigation. The victim reported that the suspects kicked open his front door and broke a window while attempting to enter his residence. Due to being assaulted by the suspects earlier in the day and fearing that he may be assaulted again, the victim armed himself with a metal pipe and confronted the suspects at the door. 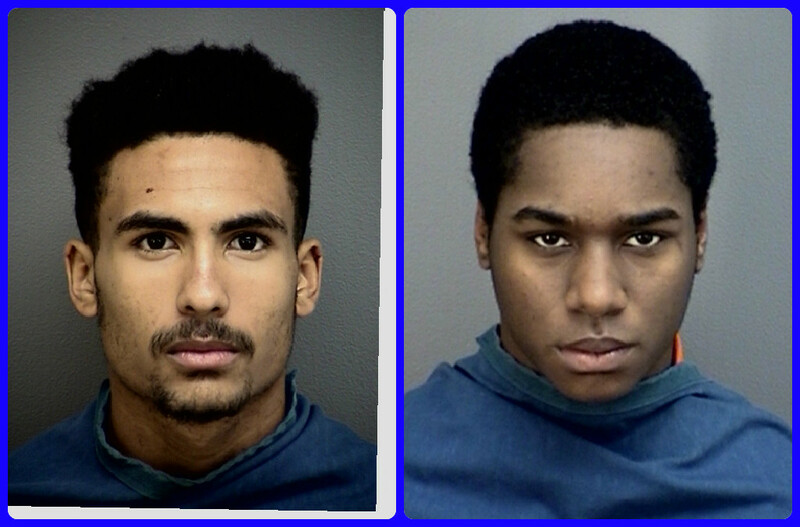 Kynedric Deshun Jackson and Jaquavion Quandrell Reynolds were placed under arrest for Burglary of a Habitation with Intent of another felony. I love this site. Now the thieves and shoplifter can get the exposure they deserve. Too bad the newspaper don’t have them on the front page.